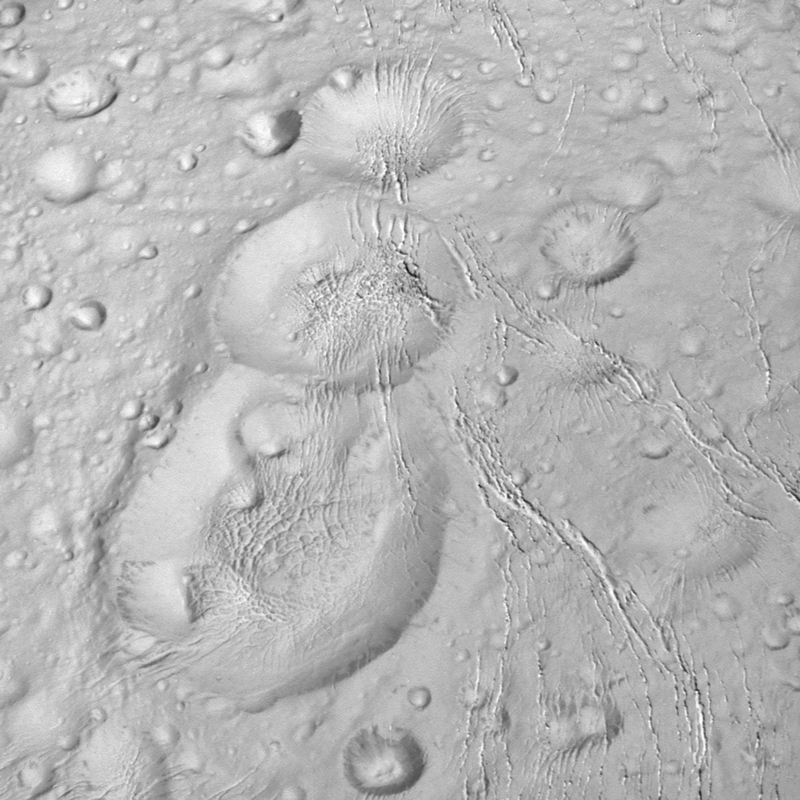 New images from NASA’s Cassini Spacecraft provide a close-up view of Saturn’s moon Enceladus. NASA’s Cassini Spacecraft has begun returning its best-ever views of the northern extremes of Saturn’s icy, ocean-bearing moon Enceladus. The spacecraft obtained the images during its October 14 flyby, passing 1,142 miles (1,839 kilometers) above the moon’s surface. Mission controllers say the spacecraft will continue transmitting images and other data from the encounter for the next several days. Left Image: This view from NASA’s Cassini spacecraft shows battered terrain around the north pole of Saturn’s icy moon Enceladus. Right Image: NASA’s Cassini spacecraft spied this tight trio of craters as it approached Saturn’s icy moon Enceladus for a close flyby on October 14, 2015. 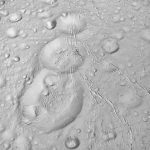 Cassini’s next encounter with Enceladus is planned for October 28, when the spacecraft will come within 30 miles (49 kilometers) of the moon’s south polar region. 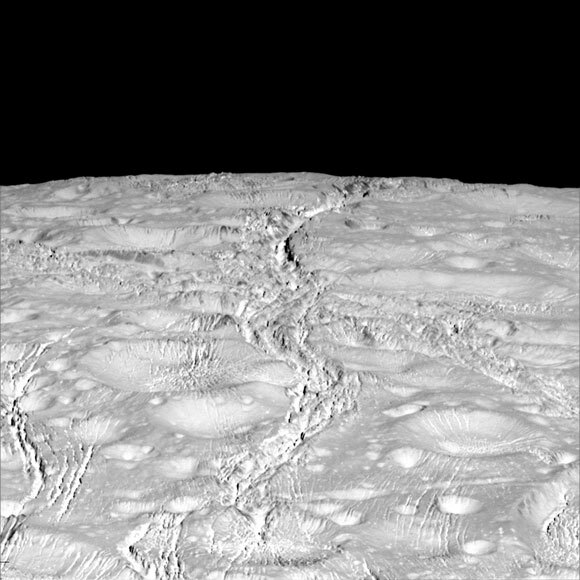 During the encounter, Cassini will make its deepest-ever dive through the moon’s plume of icy spray, sampling the chemistry of the extraterrestrial ocean beneath the ice. Mission scientists are hopeful data from that flyby will provide evidence of how much hydrothermal activity is occurring in the moon’s ocean, along with more detailed insights about the ocean’s chemistry — both of which relate to the potential habitability of Enceladus. 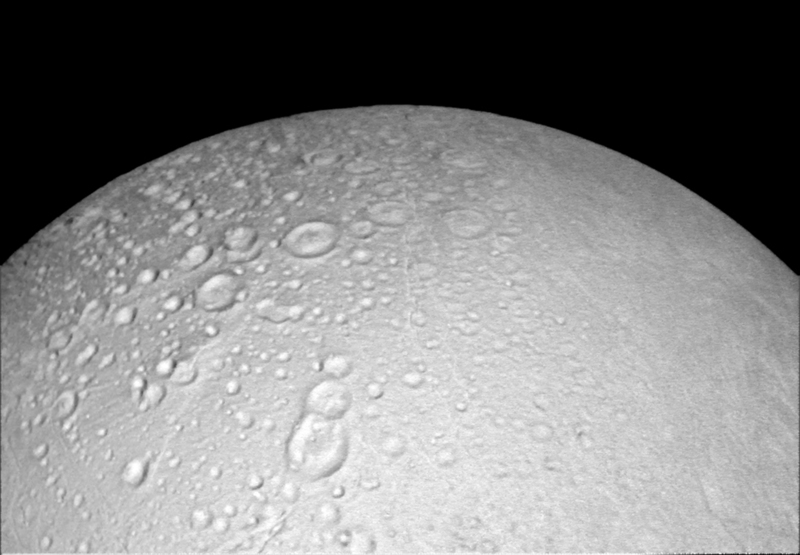 Cassini’s final close Enceladus flyby will take place on December 19, when the spacecraft will measure the amount of heat coming from the moon’s interior. The flyby will be at an altitude of 3,106 miles (4,999 kilometers). 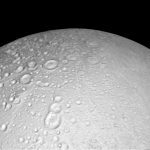 1 Comment on "NASA’s Cassini Reveals New Views of Saturn’s Moon Enceladus"
washed more with water and less with stones compared to the inner planets which received less water and more of stones from the comets which are the messengers of elixir of life viz.,water. Thank You.